The first memory of what I wanted to be when I was little is an unusual one: I was hoping to become a dentist! This came from wanting to work with people, and eventually led me on a path into health and social care work. So you didn’t go straight into nursing? No, I’ve always been passionate about helping people. After some time working as a healthcare support worker, I realised that a degree in nursing was the perfect opportunity to take my passion to the next level. While working as a healthcare support worker, I took a BTEC Level 3 health and social care course and after finishing that I applied for a children’s nursing degree course at the University of West London. Browse all nursing degree courses: sort, filter and compare. Were there any other reasons you pursued your nursing degree? I felt it would give me the opportunity to further my own knowledge about healthcare and to explore new opportunities, namely working in different settings. I also knew that nursing degrees had a really high employability rate and that it would almost certainly lead to a job. Did that earlier experience benefit you more compared with diving in straight after leaving school? Yes. My time as a healthcare support worker definitely gave me a different perspective to other people on my degree course. My degree gave me the opportunity to combine research and practical placements. My placements were very varied – from working with a team of health visitors to working in a paediatric intensive care unit. It was my placement working in a paediatric intensive care unit where I decided I really wanted to work in a hospital setting. As well as working in a hospital, what other paths or opportunities can those with a nursing degree pursue? There are so many! You can go into teaching, management, forensic nursing, prison nursing and many more. Who knows, you might even end up in working in academia, politics or even as the chief nursing officer for England! Another option is to do your masters or a PhD, dual qualify in different fields of nursing, or specialise within an area such as cardiac, oncology or palliative care. The opportunities are endless, as long as you’re willing to take them! Looking back, are you pleased you pursued a nursing degree? For me it was life-changing! You come across so many different and inspirational people, be they your peers, placement colleagues or the patient and the families that you end up caring for. It is hard work, but if you set time aside to do your research properly, don’t delay writing essays and fully commit to your placements with an open mindset, then this can be the most rewarding journey you will ever go on. Learn more about nursing in our subject guide. Do you have any tips for those applying to study nursing? The main thing you need to think about is: why do you want to become a nurse? It’s a question you need to be able to answer in your personal statement, as well as in your interview. Do some volunteering within the healthcare sector – see what it is actually like! Also, try to have an understanding of the specific field of nursing you’re applying for, be it paediatrics, learning disabilities, mental health or adults. Read up about current healthcare issues to understand what is going on. Then think about what will set you apart from the other candidates. Are you compassionate? Tell them why. Are you creative? Show them examples. Your personality is allowed to shine through. We’re all different, and that makes the nursing workforce so beautifully diverse. Nursing personal statements: tips and advice. Why did you choose children’s nursing? Did you consider any other areas? I had worked predominantly in the adult healthcare sector but always volunteered with children and teens during my summer months as a camp guide, so it was an easy choice to go into paediatrics. However, a job within that field had never really come my way, so I decided to create my own path. Using my extensive knowledge about learning and physical disabilities within the paediatric field gives me a different type of viewpoint of care, which I feel is missed at times. What’s an average day like for a nurse? At the start of the day, we do a handover before the hustle and bustle of the day begins. We make sure the rooms are clean and tidy, and ready for patients to come in. Once patients start arriving, the differences in our everyday work begin – no patient we work with or treatment we provide is the same. How a patient responds defines how we react to it and how our day pans out. Days can be long, but time flies when it’s busy, and you’ll try to scramble for time to write notes. But I always end the shift knowing I did my best for my patients, so I leave with a massive smile. It’s hard to remember all the information provided, and at times you will feel like things are really challenging – also it’s sometimes hard to remember that this feeling is allowed! You’re allowed to constantly learn – and re-learn – skills. Asking questions is welcomed by everyone and no one is out to fail you when they ask you a question and you don’t know the answer straight away. No one is expecting you to be ‘SuperNurse’ – first you’re allowed to be a student nurse. Applying to nursing or midwifery as a mature student? 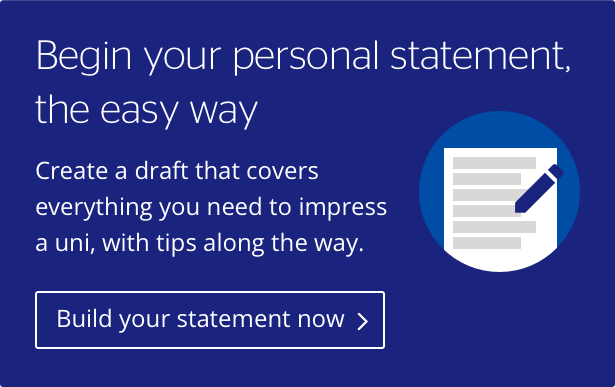 Read our specific personal statement tips. What would students be surprised to hear about the nursing profession? Firstly, how employable nurses are. In a time where there is a lot of uncertainty about jobs, nursing is still one of the careers where you are virtually guaranteed a job at the end of your degree. Secondly, the opportunities that it offers you. Even as a student nurse I’ve seen that your essays can be published, you can be part of discussion forums, you can attend – or even set up – conferences, and learn skills not commonly taught in the classroom. Loads of opportunities arise; it's up to the student to take them. Avenues such as the ‘#KnowAboutNursing’ campaign are raising the profile of why it’s such a flexible career and what it’s like to be a nurse in the modern NHS. What one thing should patients definitely NOT say to a nurse treating them? Some parents have asked me if being a nurse is a step towards becoming a doctor – I tell them that nursing is a great career in its own right and doesn't have to be seen as a stepping stone to anything! Interested in studying medicine? Read our #CareerGoals interview with junior doctor Jodie. Nursing has traditionally been perceived as a dominantly female area. Is that still the case? I think there is that perception, but times are changing. An increasing number of men are becoming nurses, and I would encourage any man considering becoming a nurse to take the jump into the profession. I’ve also found that patients and their families often value diversity in terms of nurses and find it helpful to have a different voice to talk to. Finally, you're having a day where nothing is going right – what do you do to de-stress? I love getting lost in a film I have seen 10 times or discovering a new TV show to watch. But most of all I love listening to music and going to concerts when I can. On top of that I dabble in street and nature photography and have a couple of cameras I can play around with. I also enjoy cooking for, or eating meals out with, my fiancée and our friends and families. Search for a nursing course or learn more about studying nursing. Which? University provides guest spots to external contributors. Ewout is representing the ‘#KnowAboutNursing’ campaign, which aims to promote the nursing field. Learn more about it on their official website.